Click here for information on the Jan. 16, 2019 semi truck crash near Othello. 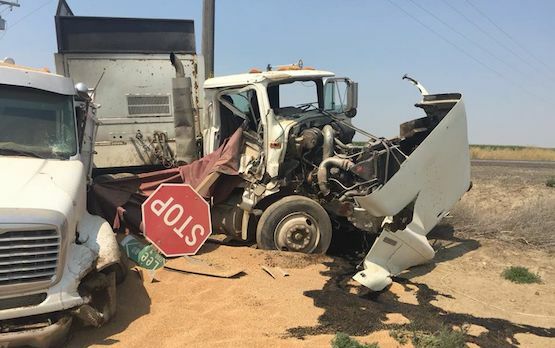 One person was injured when two semi trucks were involved in a collision Tuesday afternoon about three miles east of Othello. According to Adams County deputies, one semi truck was traveling south on South Lemaster Road while the other was going east on Lee Road around 12:30 p.m.. The driver on Lemaster Road failed to stop for a stop sign at the intersection and collided with the other. Both semi trucks went off the road and into a ditch. Police said one driver was injured and transported to Othello Community Hospital for treatment. Commercial truck drivers in Washington state are at risk of a work-related injury every time they step into a semi truck. 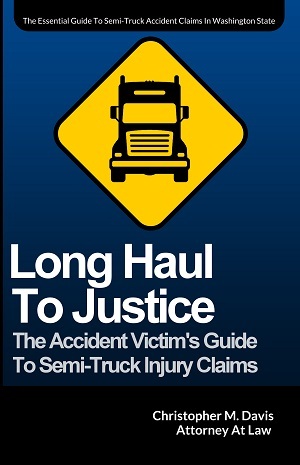 Due to the high mileage logged, truck drivers naturally open themselves up to more crashes and injuries. If you have been involved in a crash and suffered injury as a truck driver, you may be entitled to compensation for your injuries, lost wages, and pain and suffering. That’s regardless of fault. You may also be awarded damages from a third party for negligence. If you have suffered an injury as a truck driver, contact an experienced semi truck accident attorney with experience handling such cases. No matter how your truck accident happened, Davis Law Group, P.S., is the law firm you want if your case involves a commercial vehicle. Our attorneys have handled the biggest truck accident cases in the state, and are well-versed on the rules and regulations in the trucking industry. That knowledge has allowed Davis Law Group to recover tens of millions of dollars in settlement money for our clients. Attorney Chris Davis has wrote the book on these cases in Washington state. Don’t wait another minute. Contact Davis Law Group today for a free case evaluation. If you have a truck accident injury case, or think you may have one, call (206) 727-4000 or contact us through our website. We’ll be waiting to help.